The Room Novelization: The Room Novelization, now in eBook! The Room Novelization, now in eBook! The complete The Room Novelization is now available as an ebook! I figured with all the recent 50 Shades of Grey action going on (which, of course, started as an ebook) that I should jump on the bandwagon and offer up my own 50 Shades of Wiseau in a trendy, portable format. It's free and includes a never before seen (and controversial) afterword that I just wrote an hour ago. I'm going to look in to getting it on the Amazon Kindle marketplace thing, but until then, download it exclusively right here. 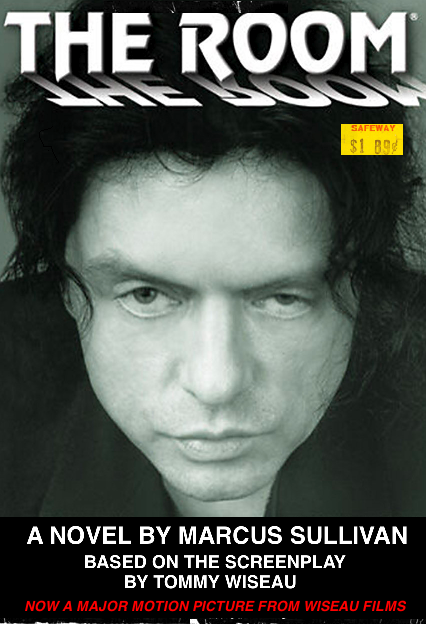 Download The Room Novelization ebook! Oh & BTW you're doing God's work. You are a glorious man who has written a glorious book of a gloriously bad movie. It makes me want to make a hilarious audiobook out of it. "The Room" has a special places in my heart for 4 reasons--1) I love film and love making fun of really bad ones 2) I'm from San Francisco 3) One of my best friends showed me the film for these reasons 4) I showed another friend the film about a month before she unfortunately died in an accident, and the last time I saw her, she quoted the "I did not!" part over 100 times, so it's forever burned into my brain as one of my last memories of her. What is with these comments. Goodness. Hilarious Novelization by the way. Read through it all in one go. The ending tore me apart. Your epub file translates to a Kindle file very well. Which program do you use? I'm a writer myself and I can't get the chapter stops in the progress bar along the bottom. You're a genius! I laughed so hard. Thank you. Thanks for doing this! I liked your afterward, too, because I like the weird odd moments that are kind of subtle, and I think people go overboard on the spoons joke and such. I can see how the jokes will get old--speaking as someone who discovered The Room this year, it's still fresh, and I'll enjoy it while it is. But I've had other stuff that got old then was fresh again years later. Nice sir, free download ebook Hape.bid.